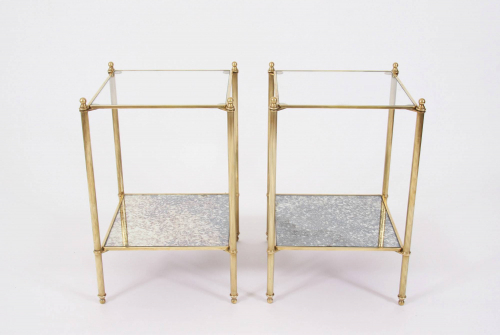 A lovely pair of great quality solid brass side tables. With reeded legs and an elegant ball finial. Original mirrored glass on the lower shelf.